You can’t argue that Tesla doesn’t have serious ambitions. In its Q1 update, the California-based electric car maker announced plans to build 500 000 cars a year by 2018. That’s significantly more than it’s current production capacity, which it says will allow it to deliver between 80 000 and 90 000 new vehicles in 2016. According to Tesla’s note, hitting the 500 000 cars a year mark by 2018 would put it two years ahead of its original schedule and is largely driven by the need to meet demand for the Model 3. “In the first week of taking deposits for Model 3,” the company says, “we received more than 325,000 reservations despite no advertising or paid endorsements. This implies about US$14 billion in future sales, making the Model 3 introduction the biggest consumer product launch ever”. 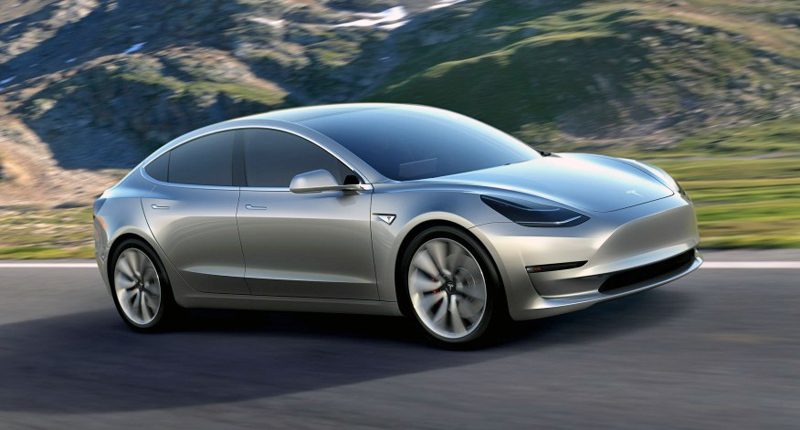 While the Model 3, with its comparably affordable US$35 000 price-tag, is obviously the big fish in Telsa’s aquarium, the Model S and Model X have also seen an uptick in orders. The Model S reportedly saw a 45% increase in orders on the same period a year ago, while Model X reservations saw a significant increase in orders just prior to the unveiling of the Model 3. Of course, all those cars need somewhere to juice up, so Tesla has also increased the production and roll out of its charging product. According to the Q1 report, it introduced another 29 Supercharger locations and 311 Destination charging locations, bringing its total away-from-home charging locations to almost 615 and 2 200, respectively.